Officials from the Defense Logistics Agency (DLA) told Congress that they have taken several steps to shore up the integrity of a program that distributes surplus military equipment to law enforcement agencies after the Government Accountability Office demonstrated that it was highly susceptible to fraud. But the assurances were insufficient for at least two senior members of Congress, who say the Defense Department needs to suspend its transfers of “controlled” military equipment until DLA has completely solved the internal control problems GAO identified in a recently-disclosed sting operation. At issue is one of the two surplus property programs operated by DLA’s Law Enforcement Support Office (LESO). 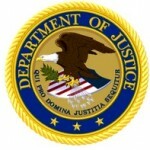 Although the division that deals with state and local law enforcement agencies appears to have more robust safeguards to keep equipment from falling into the wrong hands, GAO showed that it was able to pose as a federal agency that does not exist to get hold of $1.2 million in military gear that’s not available to the general public. 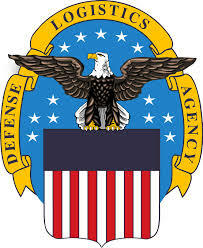 In an audit released last week, the office said its investigators, posing as employees of the fake federal agency, sought and gained approval to participate in the program by corresponding with DLA solely via email. Later, the undercover GAO employees were able to pick up more than 100 pieces of controlled property from DLA warehouses — and in two of the three cases, did so without being asked to show any form of identification. A warehouse maintained by contractors for the Environmental Protection Agency contained secret rooms full of exercise equipment, televisions and couches, according to an internal audit. EPA’s inspector general found contractors used partitions, screens and piled up boxes to hide the rooms from security cameras in the 70,000 square-foot building located in Landover, Md. The warehouse — used for inventory storage — is owned by the General Services Administration and leased to the EPA for about $750,000 per year. The EPA has issued a stop work order to Apex Logistics LLC, the responsible contractor, ensuring the company’s workers no longer have access to the site — EPA security officials escorted contractor personnel off the premises on May 17 — and ending all payments on the contract. Since awarding the contract in May 2007, EPA has paid Apex Logistics about $5.3 million, most of which went to labor costs. Conditions at the facility “raise questions about time charges made by warehouse employees under the contract,” the report said.